Like most of us know, Amazon’s checkout system has a big minus; it does not allow PayPal payments. Why? 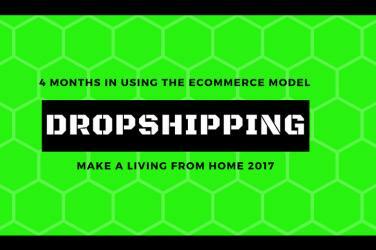 Because Amazon and PayPal are competitors of one another, and this causes great inconvenience for consumers, and for eCommerce entrepreneurs that are using the dropshipping model. However, while doing some research about why Amazon does not cooperate with PayPal, I stumbled upon a solution that allows you to use PayPal funds to pay on Amazon.com. First, let me brief you on why it is such an inconvenience to do business with amazon without the PayPal option. It is especially frustrating for dropshippers to not be able to use PayPal for their transactions, and I am now going to explain why. When customers are purchasing items from your eBay listings, your own eCommerce store (Shopify or WooCommerce), they are using PayPal to process their payments. When dropshipping, you can then use the PayPal balance to order the product from the supplier/wholesaler, and ship the item straight to the customer. You do not need to use your private funds. When dropshipping from Amazon, you have to use your own, or company’s credit card, and therefore be out with your own/your company’s funds. Also, Amazon only pays out every 14 days, which makes it even more difficult to use the monies from the customer’s actual purchase. I want to thank one of my readers, who made me aware that Gyft has removed Amazon gift cards from their assortment. I believe this happened quite recently, because 3 months ago, I was still able to purchase Amazon gift cards on Gyft and use them on Amazon. However, I found another website where you can still purchase Amazon gift cards online and pay with your PayPal balance. You can buy them on https://www.carddelivery.com. Use the same steps as below, but instead of Gyft, you purchase the Amazon gift card on CardDelivery. The gift code will be delivered to you by email. There is a but… A rather big minus is that CardDelivery charges a fee for the email delivery of the gift code. In this example, you see an extra charge of $4.99 above the $50 gift card, which Gyft never charged. This can eat up your margins as a dropshipper. I guess you have to consider how much it is worth to use your PayPal balance to pay on Amazon. What I would suggest, is to purchase a gift card for a larger amount all at once, since your gift card balance is saved by Amazon if you do not use it all. In this way, you can use the gift card balance Amazon keeps for you to pay off future dropship purchases. This is an easy trick really. You go to Gyft.com and then you purchase an Amazon Gift Card using your PayPal account. You can purchase a gift card anywhere from $5 and up. After purchasing your Amazon Gift Card, you redeem the code – which you can view right after purchasing the card via the link underneath it – or you can wait on the email from Gyft with the code. You then copy the code, head over to Amazon.com to purchase your item, and while in Checkout you paste in your Amazon Gift Card code. As simple as that! You have now used your PayPal balance to make a purchase on Amazon. Well, that was it for this time. I hope this blog post was helpful to someone being in the same frustrating position I was in, having to use my private credit card to make dropshipping purchases on Amazon. I guess there are other ways of going around this and keep using PayPal. If you know another way of using PayPal on Amazon, please share it with me in the comment section below. I would love to learn about it. In fact, I read online that Amazon may start a cooperation with PayPal in the future after all. I think that would be a good step towards improving the customer experience on Amazon. You can also buy on Amazon with Paypal with the website https://payzon.eu with the same guarantees as if you bought directly from Amazon. Enter the ASIN Number of the product and click on “Buy with Paypal” to be redirected to Paypal. The product will be shipped directly from Amazon to your shipping address. thank you for your comment and advice on the payzon option. I tried searching on a product ASIN to check it out, but the site didn’t find it. I’ll be careful to recommend this option to my readers because I didn’t find any reviews of the service. Maybe it will show up later. I’ll keep my eyes open for it.